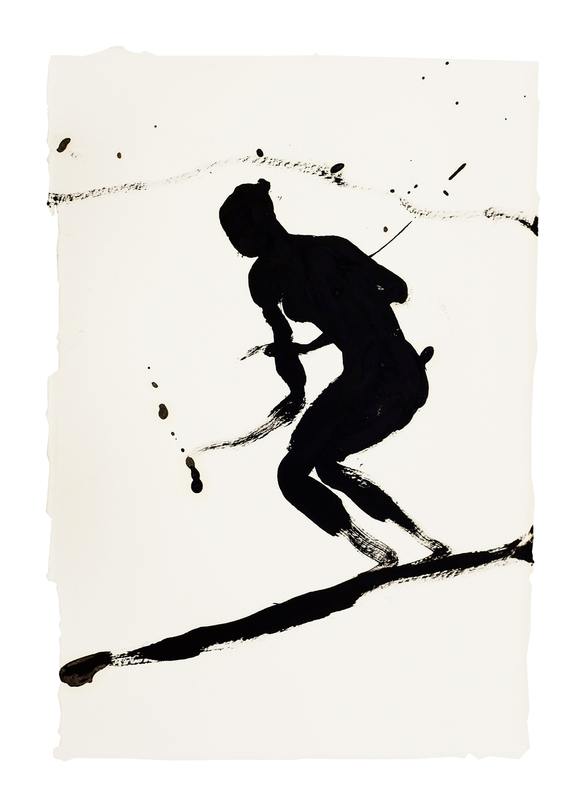 Antony Gormley (b. 1950, London) lives and works in London. Studied at Trinity College, University of Cambridge; Saint Martin’s School of Art; and Goldsmiths, University of London. Gormley won the Turner Prize (1994) and has been a member of the Royal Academy since 2003. He was made an Officer of the British Empire (1997) and was knighted (2014). Permanent public works include the Angel of the North, Gateshead; Another Place, Crosby Beach; Exposure, Lelystad; and Chord, Massachusetts Institute of Technology, Cambridge. Select solo exhibitions and projects include Royal Academy of Arts, London (2019); Kettle’s Yard, Cambridge (2018); Living Room, Xavier Hufkens, Brussels (2017); the Long Museum, Shanghai (2017); Fit, White Cube Bermondsey, London (2016); Object, National Portrait Gallery, London (2016); Construct, Sean Kelly Gallery, New York (2016); Forte di Belvedere, Florence (2015); Space Out, Galerie Thaddaeus Ropac Salzburg Halle, Salzburg (2015); Land, various sites across various sites, Landmark Trust, United Kingdom (2015); Zentrum Paul Klee, Bern (2014); Drawing, Allmeinde Commongrounds, Lech am Arlberg (2014); Centro Cultural Banco do Brasil, Brazil (2012); State Hermitage Museum, St Petersburg (2011); Hayward Gallery, London (2007); Malmö Konsthall (1993); and Louisiana Museum of Modern Art, Copenhagen (1989). Select group exhibitions include New Beginnings, Alan Cristea Gallery, London (2017); Sculpture as Object, Tate Britain London (2016); From Rodin to Bourgeois, Gemeentemuseum Den Haag, The Haag (2016); La Reve, Musée Cantini, Marsaille (2016); Found, the Foundling Museum, London (2016); Out There: Post-War Public Art, Somerset House, London (2016); Approaches to Paper, Irish Museum of Modern Art, Dublin (2015); Self: image & Identity, Turner Contemporary, Margate (2016); Contemporary Drawings, Kettle’s Yard, Cambridge (2016); Venice Biennale, Venice (2013) and Documenta 8, Kassel (1987). His work is held in public and private collections including National Gallery of Victoria, Melbourne; Museum of Modern Art, Vienna; Louisiana Museum of Modern Art, Humlebæk; Centre Georges Pompidou, Paris; Arts Council of England, London; Tate, London; and Yorkshire Sculpture Park, Wakefield.